the Lord is my Shepherd and there is nothing I lack. He lays me down in green pastures. He takes me to quiet waters where He refreshes my soul. I’m trailing behind the Good Shepherd. I lack nothing. He knows His sheep, in and out, backwards, forwards. He knows me down-deep, and I know Him. He calls me by the very name He gave me, says you belong to Me over and over until I believe it. He leads me to pastures of plenty and still waters. He will never abandon me, forget me or move too fast for my tiny feet. He doesn’t let anyone fall behind or go unnoticed. He waits for the slow-movers and treks at the stragglers’ pace. When just one of His 99 slips away, He notices. The Good Shepherd won’t continue on until His flock’s complete. He tells the ninety-nine to move forward, to keep on, to press on but He’s got to find the wanderer. He runs fast to the hiding places, looks high, looks low, looks every space in between. Then He finds her, He always finds her. There’s no sigh of relief or head shaken in disappointment, no consequence or stack of things she better not ever do again. He shuts down her sorry speech, wraps her up and throws her over His shoulders and celebrates her the whole way Home. He corrals the hundred at the welcome mat, to celebrate the lamb who’s no longer lost but found, no longer wandering the wild but right where she belongs. She belongs and she’s noticed and deep-down known. In fact, she didn’t mean to wander or lag behind, she didn’t mean to mess up or go missing, she even tried to find her way back to Him but the Good Shepherd found her instead. The Good Shepherd lays down His agenda, His destination, His life for the sheep. He takes the flock from valley lows to mountaintops and all the trekking in between. He’s a noticer. Notices every single one. Not a single hiding place is out of His reach. He’ll chase me forever. He’ll find me, He always finds me. And no matter how far I’ve run, how long I’ve strayed, how deep I’ve done wrong, He responds with Love. Just Love. The no-matter-what, capital-L kind. The kind that screams you belong to Me, and I’ll go to the ends of the earth so you’d someday believe so. The kind of Love that notices and chases and lays His own life down to take good good care of His sheep. 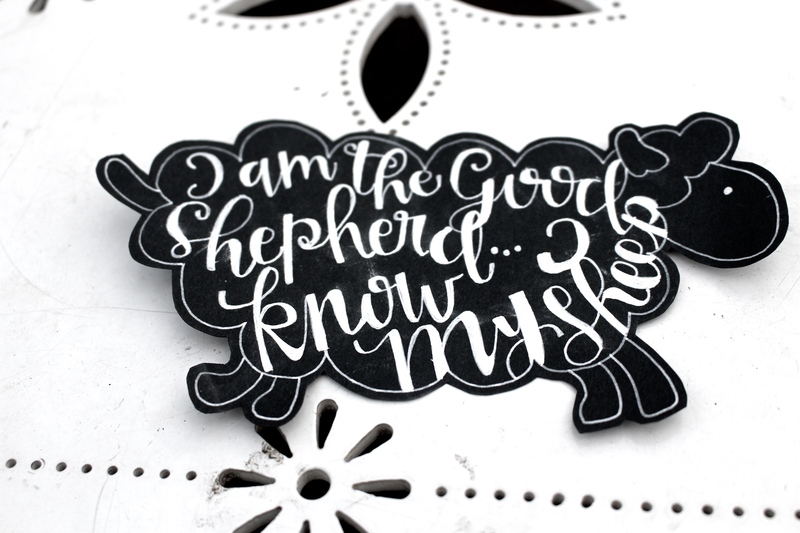 The Lord is my Good Shepherd–it’s His kind of Love–and there’s nothing I lack. My J, teach me to follow You, trust You. To tune out the voices that aren’t Yours, and obey what only You command. Take me to quiet places, slow me down when You see fit. Keep swearing I belong. I’ll take Your piggyback–it’s the shortcut Home.